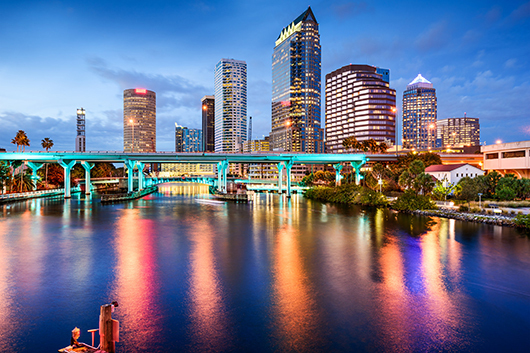 Although our offices are in Toronto, GAO RFID has found great success in providing customized RFID solutions to its clients in the Tampa-St. Petersburg area. The services offered by GAO RFID Inc. are uniquely tailored to fit the needs of the Tampa Bay Area. From financial services to information technology, the cities of Tampa, St. Petersburg and Clearwater have strong economies well-rooted in the professional sector. Some of the area’s largest employers include BayCare Health System, Publix Super Market and Verizon. With sunny skies year-round and pristine beaches nearby, the Tampa Bay Area is also one of America’s top tourist destinations–and we have extensive RFID solutions for the tourism industry. Our company is well-versed in a variety of sectors popular in west central Florida. Our RFID technology has served North American banks, hospitals and retail centers for nearly 10 years. 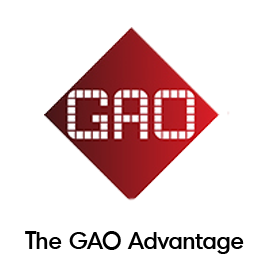 One of GAO’s most in-demand innovations is the Access Control RFID System. Restrict access to sensitive areas and control entrance permissions — while easily monitoring the ins-and-outs of all users throughout the building. No matter how many shoppers, contractors or tourists you may have, our high-quality line of Tags and Readers make it easy to maximize security within any facility. Our Florida clients prefer to use the Access Control System with our Asset Tracking technology. From livestock to computers, these powerful tools will help you save millions of dollars by protecting your most valuable assets. Many buildings in the Tampa Bay Area contain parking facilities. Florida hotels, in particular, are always looking for better ways to manage these sprawling lots. GAO’s Parking Control System is the superior choice. Efficiency is maximized when vehicles displaying our tags can move quickly in and out of the parking gate. Clients have also benefited from our system’s customized solutions. They can choose on which platform to run our software (networked or Windows-based). And on request, we can incorporate a real-time view of all vehicles on site. Because the Tampa Bay Area consists of so many commuters, car dealerships represent a large fraction of local businesses here. Thus, vehicle tracking software is very popular in this region. GAO’s RFID System for the car dealership sector gives users full visibility of all vehicles on site. It is also intelligent enough to expertly manage all your inventory. Our software can pinpoint which cars are least popular, reducing waste and unnecessary re-stocking of undesirable models. GAO’s RFID tags and readers can check cars in-and-out of the facility in real time — making this System perfect for car rental operators as well. GAO RFID is proud to serve the Tampa Bay Area. Our team of certified RFID professionals includes innovative thinkers who can solve problems and maximize efficiency. 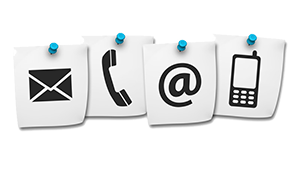 If you’d like more information about our services, please get in touch for a customized assessment of your business needs. Skynet Healthcare Technologies is leader in risk management, customizing resident/patient centered care, reducing injuries, and drastically decreasing the probability of elopement in your facility. Learn how our RFID Systems can be used in the Healthcare industry.